Size: Approximately 3x4.5x3/8 inches or 8x 11.5x 1 cm. Fits micro traveller notebooks. 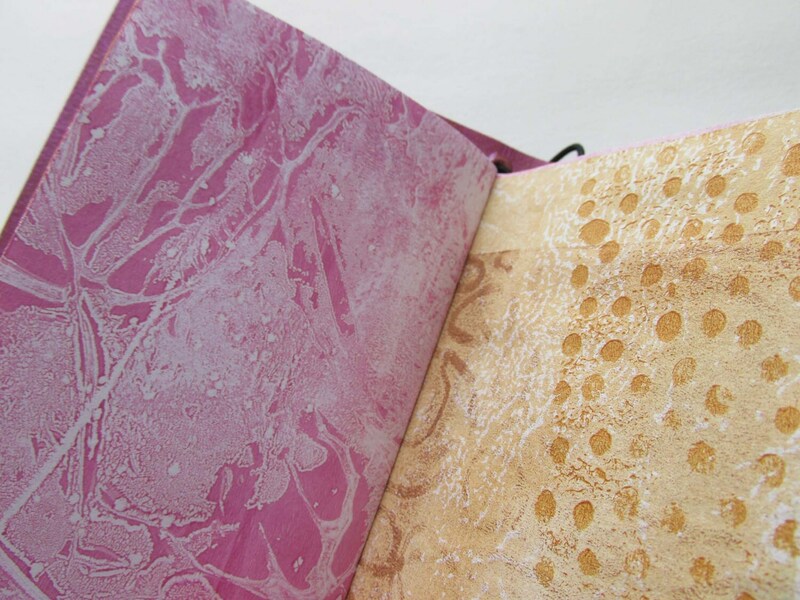 The journal cover is made with a durable paper fabric called Kraftex. It has a flexible spine so that it opens flat for ease of writing or sketching. Elastics along the inside spine hold the pages in place. 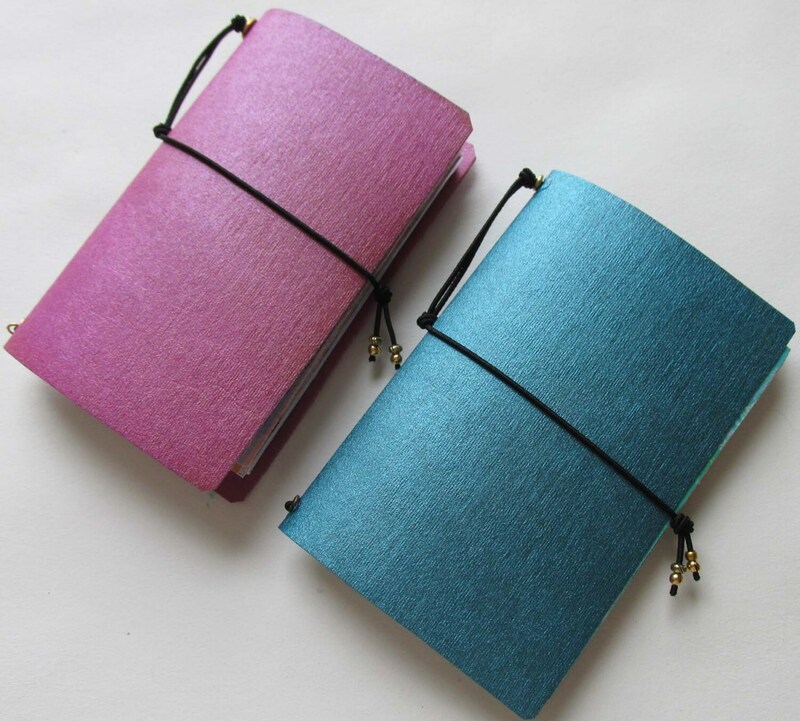 The elastic extends up to act as a bookmark or around to keep the notebook closed. It is refillable with any type of paper you choose (water colour paper, sketch paper, scrap booking paper). 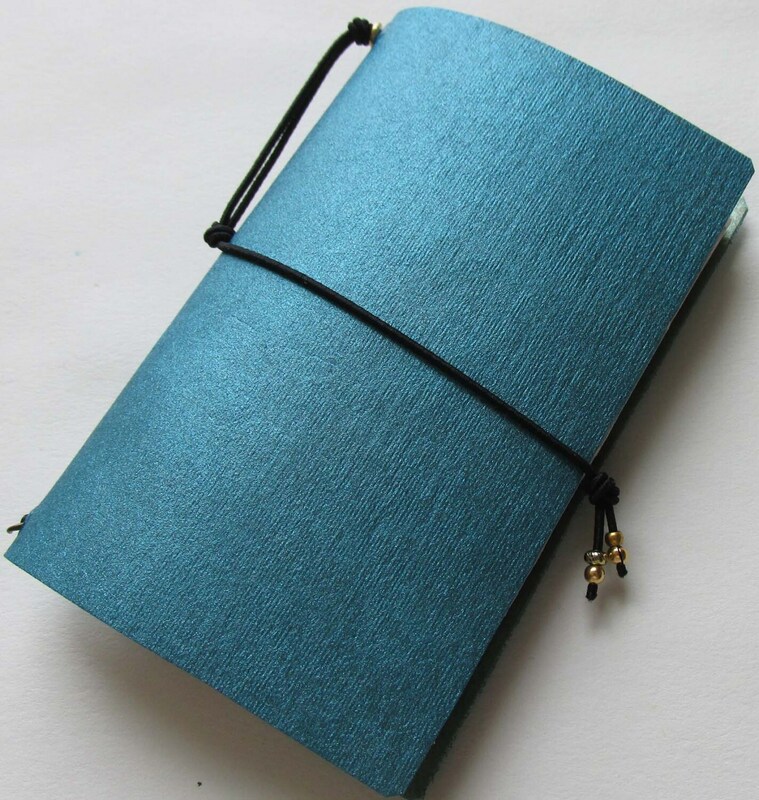 This is a great size for a pocket sized notebook or sketchbook. The journal starts with 1 insert of recycled artist papers and 1 insert of blank 20lb bond pages each. The cover can be refilled with inserts by slipping the used pages out and sliding the new pages in. Or they can be attached traveller style for additional topics. 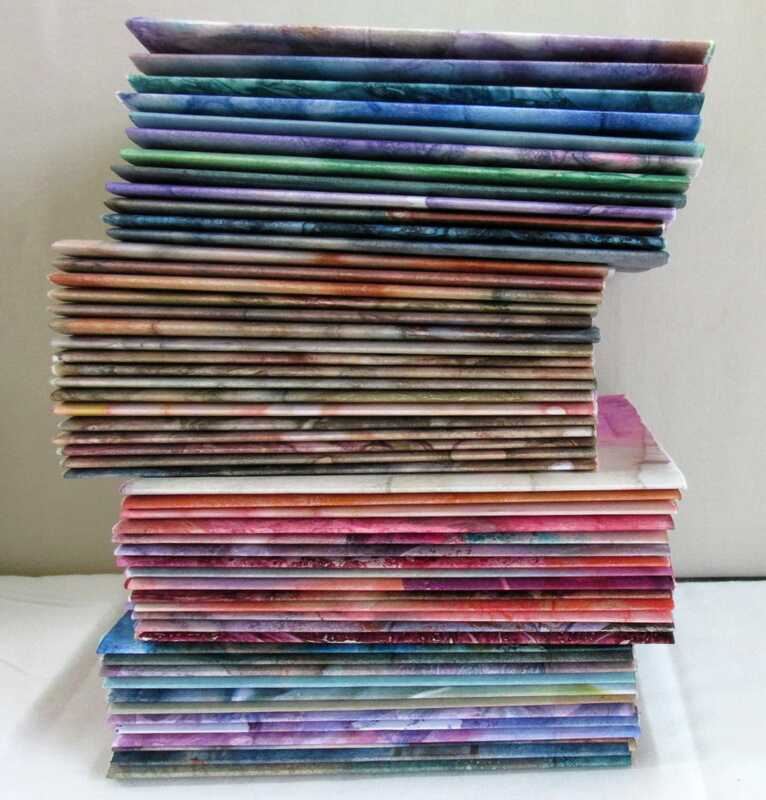 The inserts of Recycled artist paper are collections of a variety of lighter weight papers [which may include rice/washi, bond, cartridge, copy and sketch paper] enfolded in coverstock. 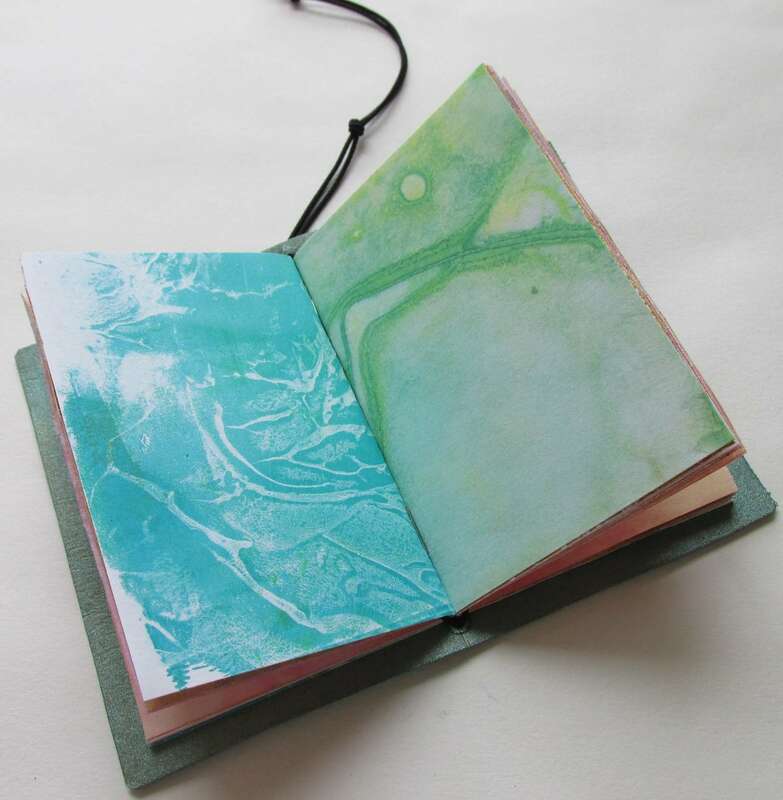 These pages have been marked, distressed, stained, monoprinted and/or hand-painted with acrylic, watercolour or ink as part of the exploration and processes of creating art. Each page is one of a kind, perfectly imperfect... I love writing, sketching and making notes on these papers. Each turn of the page is a surprise! ***Please note the photos are indicative of the nature of these notebooks. You will receive the micro journal in photo 1. NOTE: Colour Accuracy can vary depending upon monitor settings. Metallic paints tend to shift depending upon the light source, so it can be difficult to capture accurate tones. Photos are taken in natural light with no flash.